Phillip was born in Bisbee, AZ on July 23, 1929 and was a member of the American Legion as well as the Knights of Columbus, St. Joseph Co. 8813 and our assembly. 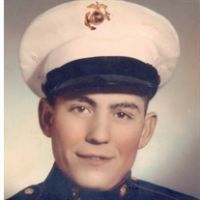 A veteran of the US Marine Corps, he served in the Korean War. He is survived by his wife Alice, son Steve and daughters Christina McFadden and Ellen Jarrell, two sisters Virginia Worsham and Leonila Quinbar and two step brothers. His chalice will be given to St. Joseph Catholic Church.